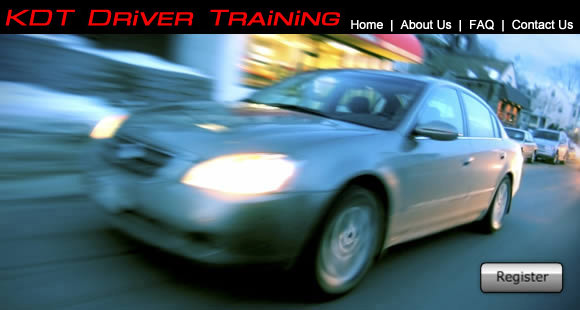 KDT Driver Training has served Pittsburgh and the surrounding areas since 1971. Formerly known as "Kaufmann's Driver Training", our original location was in Kaufmann's Department Store in Downtown Pittsburgh. Kaufmann's has since become Macy's, and we became KDT Driver Training with instructors in various locations. KDT Instructors are hired and trained by our Director to meet the standards this school has operated under for the last 40 years.After undergoing background checks and clearances, they are tested by the Pennsylvania Department of Education, with an additional test by the PA Department of Transportation, before being licensed by the Department of Education. Many instructors have also received college level safety education credits. KDT's vehicles are dual controlled with a separate instructor dual-control brake and a dual rear-view mirror. They meet, or exceed, Department of Education requirements for Private Driver Training Schools. We're sure you'll find them extremely comfortable and easy to drive, making your learning experiance a pleasure. Our phone counselors are ready, willing and able to answer any questions you may have. Since they are also licensed instructors, their advice on scheduling and frequency will guide you through your course of lessons. Dave, (Director) has been the school since 1973. Kathy, (co-ordinator/office manager) has been with the school since 1976. Dave has received awards from the Driving School Association of the America's: President's Award and Leadership Awards. He also served as Secretary of DSAA. Kathy received the Cathy Hensel Award for outstanding achievement. She also served as Communications Director of DSAA. Dave served as President of the Pennsylvania Association of Professional Driving Schools (PAPDS). Kathy served as Secretary/Treasurer of PAPDS.And she received the PAPDS Presidents Award.